It’s tough running, owning, and operating a small business these days, no matter where you’re located. And one of the larger problems that small businesses face is technology. Small businesses are in somewhat of an awkward position when it comes to technology for several reasons. First of all, most small businesses simply don’t have the budget to pay for an in-house team of I.T. personnel and network engineers to run storage servers. In addition, most small businesses don’t have the time or skill sets to worry about their information and security needs. And it isn’t easy finding a cloud storage solution that will meet the needs of the business. Consider that the bulk of cloud storage services target individual users in a home setting. Such users only need cloud storage for personal use, for reasons such as backing up music libraries, syncing data among mobile devices and PCs, and sharing data with their friends and families. The good news is that there are certainly a handful of cloud storage providers who have designed their service specifically to accommodate small businesses. Some of them even offer competitive pricing, too. At any rate, these days you can find a cloud storage service for small businesses that is many times cheaper than the cost of hiring your own I.T. staff and purchasing your own storage hardware. So, what sets a business-class service apart from a cloud storage service that’s more appropriate for individuals and home use? Aren’t they all the same? Can’t you just use Dropbox’s free trial or Google Drive since it’s absolutely free? Well, you could, but it would be a terrible mistake for your business. Edward Snowden has warned against the use of Google Drive and Dropbox, even on an individual level, because they are so rife with security problems. Security is one of the most sought-after qualities in cloud storage services by businesses. The bottom line is that a business of any size needs to be able to transfer their files and data securely by using encryption, and they even need to be able to setup different user accounts to control which users can view and edit different files. That’s one feature that a lot of individual and home cloud storage services lack. However, it’s becoming more common for small business cloud storage services to include enhanced security controls. For instance, many of the business-class services include access controls and permissions that allow you to organize users into groups, and then to assign each group their own access permissions. This will help you create groups for consultants and external parties (even clients) that need access to files, and to manage each group individually. In addition, some of these services even have an auditing system that records each and every action with timestamps. As an administrator, you’ll be able to see who deleted which files at what time, who updated existing files, and what times the users log in. Having an audit trail is crucial for security. With that understanding, let’s take a closer look at the best cloud storage for small businesses. Firstly, understand that business packages for cloud storage are going to cost more than simple single-user and home user cloud storage options. Even so, SugarSync has relatively moderate pricing for small businesses, starting at $55 per month for 3 users and a terabyte of storage. They do take better care of their business clients as well by offering them premium support. You can add additional users, and even assign blocks of storage to individual accounts. And like most other business-class services, you can view user activity by means of an auditing system. This will help verify that users aren’t accessing data they aren’t supposed to, and that your file access permissions are appropriately configured. Naturally, you can sync files with an unlimited number of devices, and the business version of their service has more robust collaboration features. Last but not least, SugarySync for Business includes disaster recovery features to help you recover from hardware failure. Box is a great option for small businesses (as well as larger businesses and enterprises) for two reasons: security and access control. Box does allow users to control their own encryption keys, meaning that they aren’t managed by Box in any way. This makes it impossible for third parties, hackers, or a rogue employee to access your data (since only you have the encryption/decryption key). Also, they have tremendously effective tools for controlling file access, which is important in a business of any size. For instance, you can create users and separate them into groups. In addition to giving each group their own compartmentalized partition of cloud storage, you can also grant them granular permissions to other groups’ files for collaboration. For example, you could create a ‘partners’ or ‘clients’ group, and give them read-only access to specific files and directories. They even have an auditing system that the admin can use to view every single file operation performed on a per-account bases with timestamps. As most business packages do, Box costs more than a simple home service. They have a complex pricing system depending on the number of users you need, but pricing starts at $15.00 per user per month. Last but not least, they can integrate with many different IT interfaces such as SSO and active directory, and they have strict regulatory compliance standards. Carbonite offers a cloud and hybrid backups service that’s appropriate for small businesses, and they allow an unlimited number of backups. But they can backup servers in addition to individual PCs, and have quick recovery features that will help you out of a bind when your hardware fails. Naturally, they also include NAS and external HDD backups, and they are much more secure than services like Google Drive and Dropbox. They can help you store and backup files like individual files, folders, documents, spreadsheets, images, videos, accounting documents, and even emails. And they offer a wide range of services that range from individual needs to medium and even large-sized businesses. Their pricing is reasonable, and can range anywhere from $59 to $899 on an annual subscription. Egnyte has created a well-rounded cloud storage service that was specifically designed for business use, and they have options for small businesses as well. One nice feature of their service is the ability to customize and personalize their service by adding custom logos, message headers, and branding directly into the interface. This helps give the appearance of unity among employees and external parties (e.g. partners and clients). You can even customize the URL that points to your business’s storage. They too include granular user-based permissions to control file access, and have real-time collaboration features to help coworkers and partners seamlessly mesh to share information, data, and collaborative work. And their audit system will timestamp users’ activities to give the account administrator an audit trail if something suspicious happens internally to the business (like a user accessing files that they shouldn’t be viewing). However, they are not a zero-knowledge provider, though they do encrypt data once as it is in transit to their servers, and once more for storage. Tresorit is our last best cloud storage for small business, and they’re a little more expensive than Box. Individual user plans start at $12.50, while the business plans starts at $20 per user per month, and provides a terabyte of storage. One of their best security features is the fact that they are a zero-knowledge provider who includes client-side encryption features, so no one can read your stored data except you. They include other typical business-class required features like auditing systems, user access permissions, sharing, and collaboration features too. If you want to try out their service, you’ll have to opt for the single user trial. And though it doesn’t have near as many features as the business version, it will still give you some idea of how their service works. 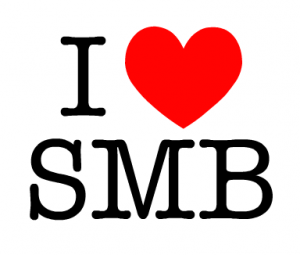 Personally, I think that SugarSync for Business and Box are two of the best options. However, if you distrust US-based services because of the NSA, you’re better off signing your small business up for Box since they are based in the UK. Also, if you choose a provider that isn’t mentioned here, I’d caution you to make sure they have two main features: granular user permissions and and auditing system. Just about any cloud storage provider can offer enough raw storage space to accommodate small businesses. What separates competent small business cloud storage services apart from other provider is their security controls. Businesses these days simply need ways to control who can access files and folders.